Hydro speed is swimming in white water. You descend into the water and swim with the help of a float and flippers. A guide will show you the way. It is a very playful activity, you feel all the movements of the river. 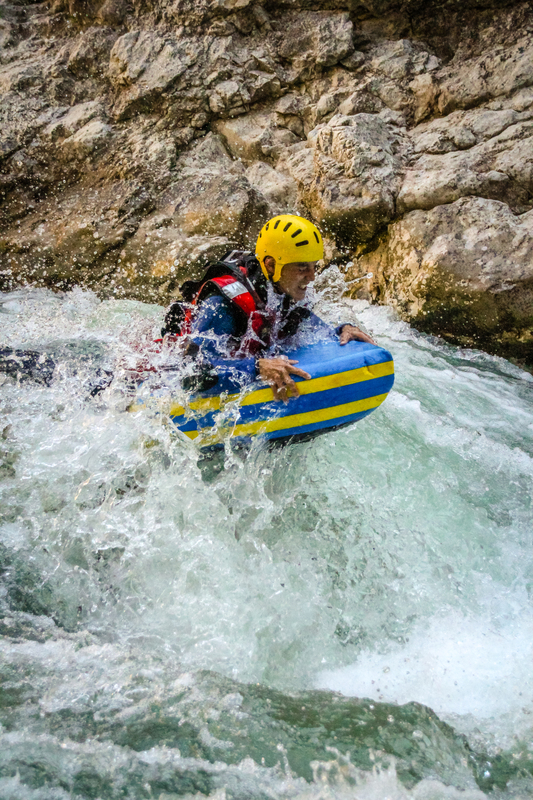 Are you interested in swimming in white water? Accompanied by a qualified guide and equipped with a foam float, helmet, flippers and lifejacket you will achieve the ideal based on your level of ability. At one with the water, new sensations and sliding in total security! The following items will be at your disposal: foam float, adjustable flippers, lifejacket, helmet, strengthened neoprene wetsuit, neoprene jacket or windproof jacket and neoprene socks dependant on the season. Previous experience is not necessary however you must be able to swim, be a minimum of 12 years of age (minors accompanied by an adult) and bring with you a swimsuit, a towel and a bag. Sport shoes must be worn however they may go in the water. HYDRO SPEED IS FEASIBLE ONLY ON THE DAYS WHEN THERE IS SUFFICIENT WATER, IN GENERAL TUESDAYS AND FRIDAYS. THE RATE OF THE WATER IN THE VERDON IS REGULATED BY THE EDF DAM (Chaudane/Castillon). THEREFORE THERE MAY BE CHANGES TO YOUR RESERVATION.